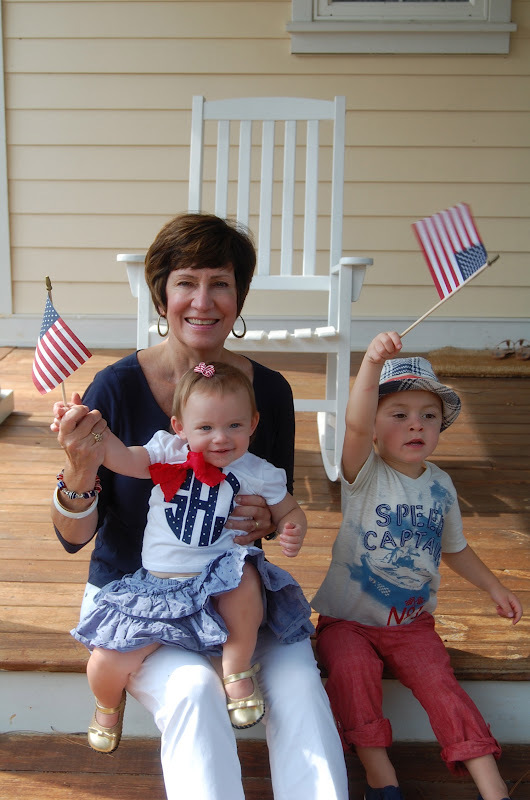 Happy July 4th from my family to yours. We are having a wonderful day and I hope that you and your family are, too. While the guys were golfing us girls set up the camera on the tripod and snapped a few pictures. I had 10 seconds to hit the button and run get in the picture. Have a super sparkly 4th! Super cute pics!! Love the one of Grayson whispering in Sloan's ear!! Thanks chasity! We sure have enjoyed looking at your Florida pictures. Looks like y'all had a wonderful trip. 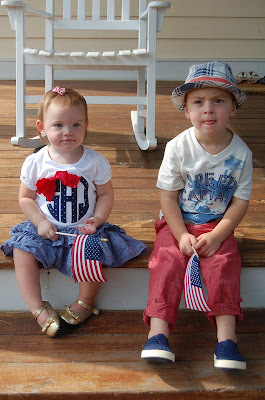 Great pictures, and I love the patriotic clothes, too! Thanks Ashley. We had a good day and I hope you and your family did, too.